As the young generation of a family that took part in the Burgundy wine History for more than 400 years, Alix de Montille and her brother Etienne have taken the reins of their highly-respected family-estate, following the path of their father Hubert de Montille who took the job in 1947. The task would be enough for most people but Alix and Etienne opened a second front in 2003 with a Négoce business (Maison Deux Montille) to complement their experience with purchased grapes or must. We meet Alix in Meursault in the newly-acquired facilities in the middle of the village.This nondescript house [pic on right] built somewhere at the end of the 19th century hides a very spacious, recently-added vatroom, and much-older cellar galleries underneath, all of which having been used previously by Bouchard Père & Fils, a major player in Burgundy. That's where the wines of both Deux Montille Soeur Frère (the Négoce) and the 15-hectare Domaine de Montille (the family estate) are now vinified. The Family winery was based for the last 50 years in Volnay, a mere 3 kilometers north from here. In 2003, Alix wanted to start a Négoce activity dealing with white Burgundies because at the time the family estate made very few whites. The word Négoce must be taken of course here in its Burgundian meaning, that is, all the vinification process and elevage of the wines being handled by her and her brother, as well as some of the harvests. Her brother Etienne joined her Négoce venture and he dealed with the red-wines part. The storage space being too tight in Volnay, they moved first to Beaune (in the facility now occupied by Philippe pacalet) and then here in Meursault, which was more convenient especially after the family estate bought (in 2005) an additional surface of 5 hectares in the Côtes-de-Nuits and the Côte-de-Beaune (Corton side). Cellar-master Cyril Raveau - open wooden vats in the backgroundThis Meursault facility, which they first rented before buying it from Bouchard in 2006, looks spacious both on the vathouse side and in the cellars but Alix de Montille says that its storage limits may be soon reached. The huge vat room is lined with about 20 Grenier open wooden vats, piled on each other when they are not in use. At the start of her Négoce venture with purchased white-grapes in 2003, she made only some 40 casks of wine, a fraction of the present volume of 250 casks (60 000 bottles) made from the equivalent of 10 hectares of vineyards. As said above, they make also red wines and her brother Etienne overlooks their vinification and elevage. She doesn't want to grow more in terms of volume and she could even downsize a bit. These Négoce wines are made from 70% of purchased grapes and 30% of purchased must (juice of freshly-crushed grapes). Most of the purchased grapes are harvested by her pickers and a tiny fraction by the growers themselves. Speaking of the purchased must (30% of the total volume of purchases) most of it (something like 80%) is the result of the pressing and racking that Alix conducted herself in the growers' facilities. They vinify also the wines from the now 15-hectares of the Domaine de Montille, which was augmented in 2005 with 5 hectares of Côtes-de-Nuits and Côte-de-Beaune. Of the 15 hectares of the family estate, 3 hectares are planted with white grapes (Chardonnay of course). At one point, Alix presents us to cellar-master Cyril Raveau (above and left). We already met Cyril when he was working in the Vignoble de flavigny in northern Burgundy. We happened to drop in Flavigny two days before this visit to buy a few bottles (my choice was their Auxerrois 2003 at about 7 Euro) and the lady there told us that Cyril was precisely working for Alix de Montille now... Showing the pneumatic pressesThe Domaine de Montille has been known mostly for its pure, structured reds (this was the work and style of Hubert de Montille - see this Beaune-Imports page about his vinification style) and Alix de Montille brought more whites in. She now works on both her purchased white grapes and on the whites of the family estate, which include Beaune 1er Cru les Aigros, Corton-Charlemagne, and Puligny 1er Cru le Cailleret. But volumes speak by themselves about the respective shares of colors on the Négoce side : the Deux-Montille-Soeur-Frère Négoce makes 22 white cuvées and only 2 red cuvées...Her elder brother Etienne is in charge of the vinification of the reds (mostly from the family estate as you can understand). While he had always been interested in the family winery (his first vinification took place in 1983), Etienne was working until 2001 in the audit/banking sector, using his weekends and vacations to help his parents and work at the winery. In 2001, he had the opportunity to become director of the Chateau de Puligny-Montrachet and that's when he decided to make a decisive change of career. He came back to the region to stay and also to work spend more time on the family estate, but he had already taken over and brought his vinification style there in 1999-2000. As said above, Etienne's first vinification dates from 1983, and 1991 was the first year his father let him conduct a vinification unattended. After the years, his own style emerged, slightly different from his father's wines and Alix considers that 2000 was the beginning of a new expression for the De-Montille wines. On the picture above, Alix shows us the use of a mirror hanging over one of the two presses : at harvest time, both presses are in use, one outside, one inside and mirrors help keep an eye on the juice flow. The door to the vaulted cellarsHer father, she says, made wines with extreme purity, vins de curé as we say in French, meaning austere, straight and pure wines, and these purist wines needed lots of time to open. Etienne de Montille's style for the reds was more on the silky side, with a more pleasant and harmonious feel in the early years so that the customer doesn't have to wait years to begin enjoy what the wine can offer. In spite of the fact that each of them work on a single color of wine, they exchange their views and give or ask their respective opinion on the other's wines, particularly when one of them is worried about a given cuvée and looks for advice. Speaking of influences, Alix learned to love white wines with her husband Jean-Marc Roulot of Domaine Roulot, a 12-hectare estate reknowned for its whites. As we tour the large vat room, Alix says that at harvest time these open tronconic vats on the side are all over the place for the fermentation of the reds, roughly occupying a large half of the vatroom, as they vinify here also the 24 red cuvées of the family estate in addition to the 2 reds of the Négoce. All these vats come from the Grenier cooperage, either being 80-year-old vats renovated by Marc Grenier or new ones. They of course use only wild yeast for the fermentation in these open vats, or in the casks for the whites. The whites are pressed, then racked in multi-story stainless-steel vats [picture on left] and then go into the casks for the fermentation stage. Willy, topping-up the casksThe magnificient cellars under the winery held a pivotal role in their decision to come settle here (it was a rental at the beginning). This vasr 17th-century cellar is among the deepest ones in Meursault, because the rivière des Clous, a stream/river flowing through Meursault makes it difficult in most of the village to dig deeply without reaching the water. Where she lives in another part of the village, there are only two steps to reach the cellar, and she adds that in Puligny it's even worse, there aren't any deep dug cellars. After walking down a few worn-out steps, we enter a beautiful vaulted cellar with dark moulds on the walls. Several adjacent galleries in the cellar, full of casks. There's a young worker busy topping-up the casks. Willy is usually more on the vineyard side, taking care of the organic/biodynamic farming and tasks. Alix shows us the two consecutive cellar galleries that hold the last-vintage whites from both the Domaine and the Négoce (they needed, and got, the autorization of the French Customs to keep these Négoce & Domaine wines under the same roof). Another cellar gallery full of casks holds the 2007 whites which will be bottled sometime in the near future. They erected a physical partition to keep the 2007 and the 2008 apart and avoid any undesired yeast migration between the two vintages. Pouring wine from the caskAlix de Montille works on wines from different origin for her 22 white cuvées, some from Côte Chalonnaise (Montagny, Rully), Maconnais (Pouilly-Fuissé), and others from Auxey-Duresses, Saint-Romain, Saint-Aubin, Pernand-Vergelesses. These latter wines, which are moderate in price and have a more humble status compared with other Burgundy Appellations, make up two-thids of her Négoce. She considers that these up-and-coming Villages-Appellations can yield beautiful results when farming and vinification are well done. On the upper side, she works on Meursault, les Grands Charrons, Casse Tête, les Tessons, les Narvaux, les Rougeots. Usually every year she makes 3 or 4 Meursault Villages, plus a few Meursault 1er Cru, like les Bouchères, les Poruzots and les Charmes (click-enlarge on the map at the bottom of this Meursault page to locate the climats). She also makes Puligny 1er Cru, la Garenne and Champ Gain (see this list of Puligny-Montrachet climats with surfaces), plus 3 Grand-Cru wines : Batard-Montrachet, Corton-Charlemagne and Chevalier-Montrachet. She says that the downside with the Négoce is that from one year to the next, you're never sure to keep the contracted vineyards because for whatever reason the grower sometimes may change his mind and keep the grapes/must that he previously sold. For example in 2008 she lost two Meursault plots plus her red Chambolle Villages (which was for a long time her only red cuvée - now she makes also a generic-Bourgogne red). So she's always looking for another opportunity that might show up. Alix de Montille pouring her whitesThe setting is particularly inspiring for a tasting and that's among these sleeping-beauties casks that Alix de Montille offers us to taste a few of her white Burgundies. __Deux Montille Saint Aubin 1er Cru "sur Gamay" 2006. From a bottle opened yesterday (the vintage being on the market now). Richness. Lemon, pomelos aromas. Flowers. Alix says that the 2006 wines are bottled now, plus part of the 2007 wines. The rest of the 2007 whites waiting to be bottled are stored in the multi-story stainless-steel vats above. Cyril will filter them soon before bottling them a month later. On the elevage side for her whites, she tries to intervene as little as possible and avoid making standardized, technique-oriented wines. So once pressed and racked, the juice goes into the casks (the nice French word for that operation is entonner, it comes from the ancient word for cask, tonne) at a level of 200 liters only (the full capacity of a cask being 228 liters). The goal is to avoid the overflowing of the wine with the fermentation bubbling and the gaz. When the fermentation is over, which may come at different times (the wine follows its own rythm), they fill the casks to the top. Then they check the malolactic fermentation and once they're completed too and the elevage time is over, they blend all the casks of a same cuvée in a stainless-steel cask to get a better homogeneity of the climat. The whole cask-time is about 11 months for the Villages Appellations and 15-16 months for the upper Appellations.The vat stage at the end brings freshness to these whites. Usually they use very few new casks for the elevage because they are not looking for woody notes in the wines, so there are about 10% new casks on Villages Appellation and 15-20% on other wines, except for the Grand-Cru wines because as she makes only one or two casks per Grand-Cru she can't use new wood, so she uses one-wine-old or two-wine-old casks. As she looks for a wine as close as its terroir as possible, she avoids to disturb the wine or manipulate it in any way, and the wine is mostly let alone. Speaking of additives, there is only the SO2 that they add at the end for bottling. The yeast milieu is good in this cellar, on the walls, in the air, she says, and usually everything goes fine. They leave lots of fine lees in the wine when the juice is poured into the casks because as they don't make any bâtonnage (stirring), they prefer to let the wine quietly feed itself off the lees without forcing it with a tool, and for that they need a good amount of fine lees. They'll wait the racking stage to separate the sedimented lees from the wine. The only occurence when they stir a bit wine is when a particular cask has a sluggish fermentation, they just help the yeast with a couple of short movements on the lees. This winter for example, the fermentations are longer than usual, with the problem of the malolactic fermentation that start over it, so they are always checking and taking samples for analysis. She adds that if they wanted less work and trouble they could use enzymes, industrial yeasts, it would be more easy and controlled, all the wines would reach the desired stage at the desired date, but they don't look for this type of wines. __Deux Montille Pernand-Vergelesses Villages 2006 (bottle - opened yesterday). She opened the bottles yesterday in purpose because these young 2006 wines -plus, in the coldest of winter- need time to express themselves. Nice maturity in this Chardonnay. Freshness also. She says that 2006 had an exceptionnally warm and nice september and the maturity were beautiful. They had to harvest early because the maturity was peaking and the stormy weather was menacing the grapes to turn sour. 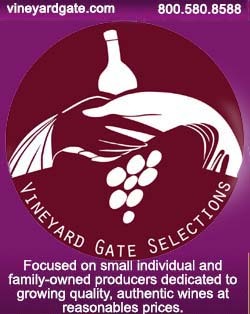 That year (2006), she says, she made small volumes because she asked to her growers to pick because she prederred to have a must at 12,5° with a good Ph/maturity balance rather than picking something at 15°/15,5° which would be too high in alcohol, will not be balanced and will need artificial corrections on the acidity (not their style of work here). Many 2006 wines are heavy for this reason, for the fact that the grapes were harvested too late. She says that what she likes in a wine is the right acidity, and she wouldn't have had it in 2006 if she hadn't decided to harvest early. __Deux Montille Auxey-Duresses 2006 (bottle). Floral aromas. B.feels hawthorn, white lily. Lots of substance. __Deux Montille Meursault les Tessons 2006. Citrus aromas. Very mineral, almost saline. Nice acidity. This climat is the patriarch of the Meursault Villages, she says. In Meursault, she adds, there are two wines, the Perrières and its "son", les Tessons. She says "son" because both are part of the same Meursault family. There are basically two families of wines in Meursault : the Meursault-Charmes family first, from mid-slope vineyards on rather clayish soil, which make these traditional round, generous Meursaults. The second family is the Tessons/Perrières, from mid/upper-slope vineyards which yield more masculine wines with lots of minerality. She says that she is more interested by minerality than roundness. The saline feel comes from the limestone soil, she says, it brings this flintstone and saline side. That's typically what she looks for in the wine. __Deux Montilles Meursault Casse Tête 2006. Beautiful nose. Very chiseled wine, says Alix. A bit smoky, another type of minerality here. Very beautiful Meursault Villages wine. Mid-upper-slope vineyards. Alix says that the purchase of the grapes are decided somewhere between may and july every year, because the growers decide then which volume they'll use for themselves. B. asks if she practices yoga to handle this stress, she says no, but she runs. She works with a few organic growers, but also conventionnal ones. __Deux Montille Rully Villages 2005 (bottle). Fresh grape aromas, floral notes, pink grapefruit. Very fresh wine. __Deux Montille Meursault les Grands Charrons 2004. Bottle opened yesterday morning. Ripe-fruits nose. Brioche notes. She likes the way the wine tastes today, with a freshness and straightness that were not obvious before. Very beautiful nose here, the wine has a few more years. Alix de Montille looks for a wine thief to taste a few casks. __Domaine de Montille, Corton Grand Cru, Clos du Roi 2007, a red (Pinot Noir). Vinified by her brother Etienne. Cherry notes, peony too. Tobacco leaves. Vineyards bought by the family estate in 2005. At that time the domaine de Montille also bought some vineyard plots in Clos Vougeot, Vosne-Romanée 1er Cru Malconsorts, Nuits Saint Georges 1er Cru Aux Thorey, Corton Clos du Roi and Beaune 1er Cru les Grèves. Plus, they bought one hectare of red Corton-Pougets Grand Cru that they partly grafted and partly replanted with Chardonnay to make Corton-Charlemagne, because they had a right to make white Corton Charlemagne there. __Domaine de Montille Volnay 1er Cru les Mitants 2007. A Pinot Noir vinified by Etienne de Montille too. Intensity. Red fruits, chocolate. One of the sought-after wines of the estate for many years. Very interesting. Also good to get a view outside Mondo Vino's final cut. I had seen the documentary MONDAVINO, which is only 131 minutes long and read that it was originally a BBC miniseries; I just purchased the entire series MONDOVINO, just released this month in the US on DVD. The SERIES, MONDOVINO, is much larger in scope (10 one hour episodes) and gives you more of the meditation of the world of wine making than the shorter documentary film version. Episode #2 "Magic Potion" is practically dedicated to the de Montille family and paints a wonderful portrait of the dynamic between daughter, father and son, wine makers. The film version cuts out most of this wonderful behind the scenes with family and I recommend the entire MONDOVINO SERIES (not just the documentary) to any and all wine lovers! I need to see this longer version, there is probably much more material and in-depth analysis in these long stretches of interviews and scenes. Thank you for the tip.